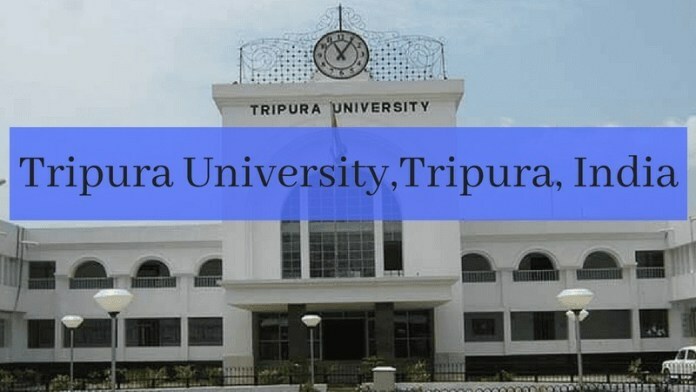 Tripura University Date Sheet 2019 has been released. Candidates can check Tripura University Exam Routine from this page. The exam notification, exam date, time, subject, paper code, the title of the paper, and exam centre can be checked from Tripura University Time Table. To appear in the university semester exam candidates must submit the exam form and the exam fees. The University issues the admit card for all the eligible candidates. It is important to carry the admit card along with the valid id card on the day of the exam. Check the page for Tripura University Date Sheet new updates. Latest: Tripura University has released the Notification regarding Re-schedule of TDC/TDCH Exam 2019 (Part 3 History & Chemistry). Students appearing for the semester exam should reach the exam hall fifteen minutes earlier prior to the time and also bring the Admit Card to the exam. The Result of the semester examination releases on the official website of Tripura University. Candidates can check Tripura University Date Sheet form the table. Time Table: Students can check Tripura University Time Table 2018 from, www.tripurauniv.in. Tripura University Time Table 2019: How to Check? Click the links provided in the table and check the Time Table. Students can even visit the website of Tripura university and follow the steps to download the TimeTable. Tripura University releases the Admit Card for the semester examination on the official website. Students have to download their Admit Card through the official website. Students can find the link to download the Admit Card on the website. To download the Admit Card students needs to select the session, Course Name and enter Roll no. The Admit Card is provided to the students who are eligible for the semester examination. Tripura University Admit Card is very important to carry on the day of each examination. The Admit Card is verified in the exam hall by the examiner. Students without Tripura University Admit Card will not be allowed to appear for the semester examination. So make sure to download the Admit Card within the prescribed date. Check the Tripura University Admit Card page for more detailed information.